Walmart. Save money. Live better. Get injured. Shovels and rakes and implements of destruction. So there I am, cruisin' down the Superstition Freeway (US60), slaloming around the other cars like they're pylons. That's when I notice my path is blocked by a gardener's truck, towing a mesh-cage trailer that contains shovels and rakes and implements of destruction. Crap. The slowdown is bummin' me out. But then I spot the gardener's sense of humor, and it makes me laugh out loud. His trailer has an oddly-familiar, brown & furry doll, nailed to the back of the mesh cage. 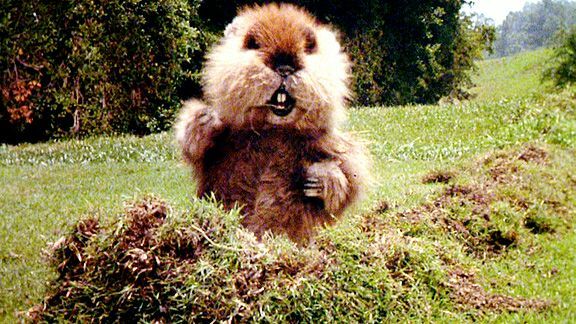 It's the dancing gopher from Caddyshack. Daylight Saving Time is ending. Turn back your clocks Saturday night and be thankful you don't live in Tuba City, Arizona. You see, most Arizonans take exception to the Daylight Saving Time observed by the rest of America. Arizona tried DST for a year (1967), but decided the extra hour of daylight was not necessarily a good thing. The desert summers were already too f*cking hot. But then there's the Navajo Rejection of the Arizona Exception: the northeast corner of Arizona is part of the Navajo Nation (which extends across three states) and in an effort to keep the same time on the entire reservation, they observe DST. However, the Hopi Tribe doesn't agree with the Navajo DST decision. Yes, the Hopi Reservation, which is completely enclosed by the Navajo Nation, has declined DST... resulting in the Hopi Repudiation of the Navajo Rejection of the Arizona Exception. 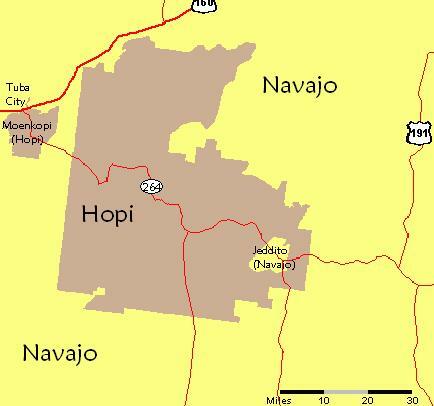 Finally, there's Tuba City, located in the western reaches of the Navajo Nation, just east of Arizona's palefaces, just west of the main Hopi Reservation and just north of the Hopi Reservation's exclave (not enclave) containing Moenkopi (not shown on map below). Here's a time zone map (shows Moenkopi exclave, with DST in yellow), so you can see that Tuba City is caught between the Hopi and a hard place. Navajo tribal offices and schools in Tuba City observe DST, but most businesses don't ("so as not to confuse the tourists"). In Tuba City, it's possible to walk next door and enter a whole different time zone. I suspect the residents of Tuba City will breathe a big sigh of relief, come Sunday. PS: The community of Jeddito, Arizona, southeast of Tuba City, lies within an exclave of the Navajo Nation, which is surrounded by the Hopi Reservation, which is surrounded by the Navajo Nation. If you decided to drive the 88 miles from Jeddito to Tuba City on Route 264, you would start in DST (Jeddito, Navajo exclave), switch to standard time (Hopi Reservation), switch back to DST (Navajo Nation), switch back to standard time (Moenkopi, Hopi exclave) and switch back to DST (Tuba City, Navajo Nation). And if you began your drive 20 miles east of Jeddito, in Steamboat Canyon, you could add two more time zone changes, to visit a grand total of seven time zones during your 108-mile trip on Route 264 (actually, this map shows you need to drive only 96 miles to get the full effect). OK, I'm gonna stop now. If I write any more about this, my head will explode. LATER, AFTER EXPLOSION: I recently heard about a hotel in Tuba City that had a bank of clocks above the front desk, showing the different times observed in various parts of town. My poor wife now knows that we will drive down Route 264 during our next vacation, and we will stay in that hotel. You can see the clocks here. LATER STILL: 7 time zones in 96 miles on AZ 264 and Tuba Time Warp Facebook pages, and Tuba Time Warp clocks.